Students will learn how the building of Shasta Dam changed the watershed and how it has affected the Winnemem Wintu, the salmon, and the environment. Students will also research water projects in their own area, and how those projects affect their region and local environment. Shasta Dam, built between 1938 and 1945, created California’s largest reservoir when it blocked the flow of the Sacramento, McCloud and Pit Rivers. The water stored behind the dam is sent hundreds of miles south, through rivers and canals, to allow irrigation of farmlands in dry, warm regions of the state. Water from the artificial Shasta Lake is also used to provide drinking water for cities, and to generate electricity. Native people were displaced as water backed up the river canyons behind the new dam. Ancestral homelands, sacred sites and burial grounds of the Winnemem Wintu people now lie deep under the surface of Shasta Lake, where their river once flowed. The giant dam also cut off the migration route for salmon. They could no longer reach the cold waters of their home rivers to spawn. Government hatcheries below the dam are attempting to maintain fish populations, but the numbers have plummeted. The Bureau of Reclamation, the U.S. government agency that maintains the dam, wants to make the dam bigger, raising the height by 18.5 feet. The project is estimated to cost $1.5 billion, and cannot go forward unless Congress votes to approve it. A larger dam would allow the government to store more water during flood years. It would also permanently flood Winnemem Wintu lands, including dozens of ancient village sites, burial grounds, and sacred natural sites. Raising Shasta Dam higher would also threaten salmon, salamanders, and other rare and endangered species. The Winnemem Wintu Tribe opposes the raising of the dam. The tribe has proposed engineering a fish passageway around the existing dam, to allow returning salmon to swim all the way to the cold waters of the McCloud River once again. 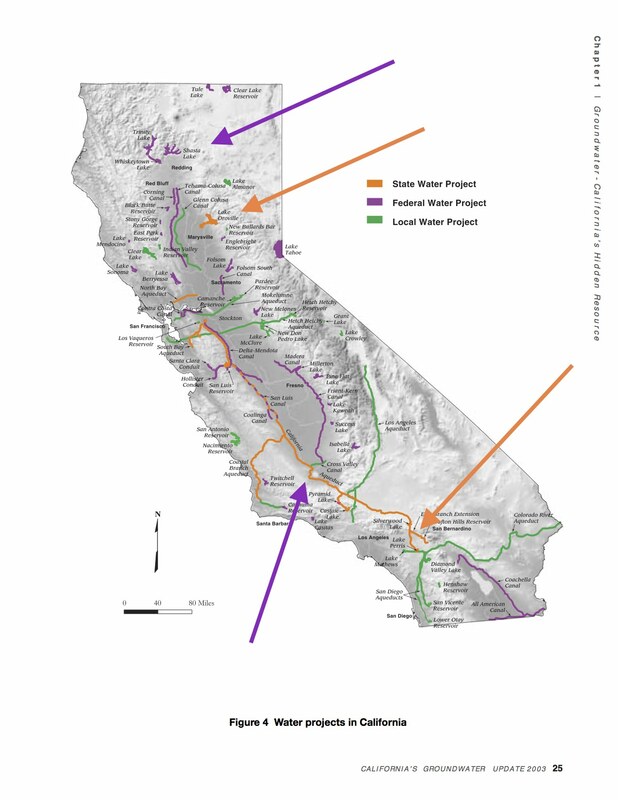 Using the online maps and the “Hydrologic Regions” slides from the California Watersheds PowerPoint, research the water systems in your region and local area (dams/reservoirs/aqueducts). 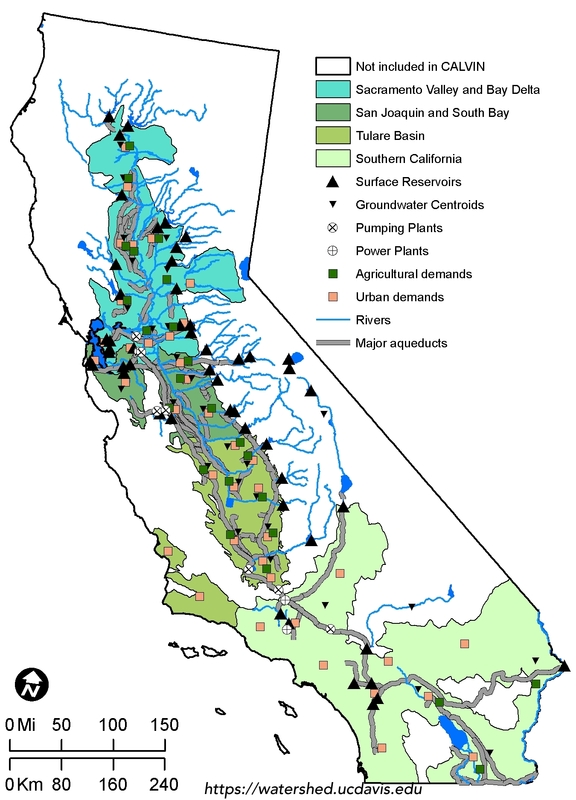 Examples might include: Shasta Dam on the Sacramento River, Chili Bar Dam on the American River, Oroville Dam on the Feather River, New Melones Dam on the Stanislaus River, O’Shaughnessy Dam on the Tuolumne River, which flooded the valley under the Hetch Hetchy Reservoir in Yosemite National Park). Follow your water to its source. To what major watershed are you connected? Are you connected to the Winnemem through your water system? Is it important to know from where your water comes? Why or why not? How do these water systems affect Native and local communities, fish, and wildlife in your area? Does your water system include fish swimways or ladders for salmon or other fish to bypass? Where is Run4Salmon now? Check the location and status of the event at the Run4Salmon Facebook page or Website. In addition to local, state, and federal water projects, what companies and industries impact our water sources? Examples: Water Bottling Facilities, Corporate Farming, Fracking, etc. Chart the pros and cons of California’s water system with the class. Using the evidence from this lesson, have students write an opinion piece on California’s water system.